We have several large Carbon fibre and Kevlar sails from a 45ft Racing Yacht that have had their day on the racing circuit. The yacht has completed in a series of races in the Mediterranean and the sails, are still in excellent condition. We are recycling these high specification sails, recutting them into stylish kit bags, however, the numbers of bags we can make from these sails will be limited. The fabric is predominantly transparent with cream kevlar and black carbon thread-lines running throughout the fabric. We have lined the bags with either Black or White sail cloth that ensures the contents cannot been seen. The six internal pockets are also lined with sail cloth. 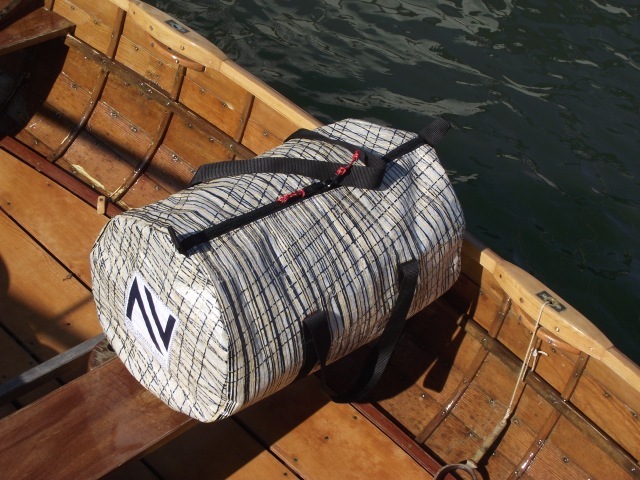 Each kitbag will be unique, having a track record of competing in some very prestigious yacht races. 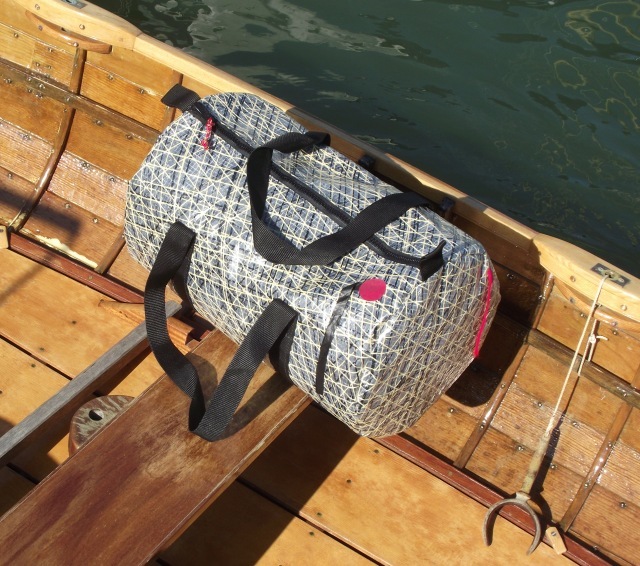 The photos show the large size kit bag at 60cm long, 38cm diameter ends and a volume of 68 litres with black lining.